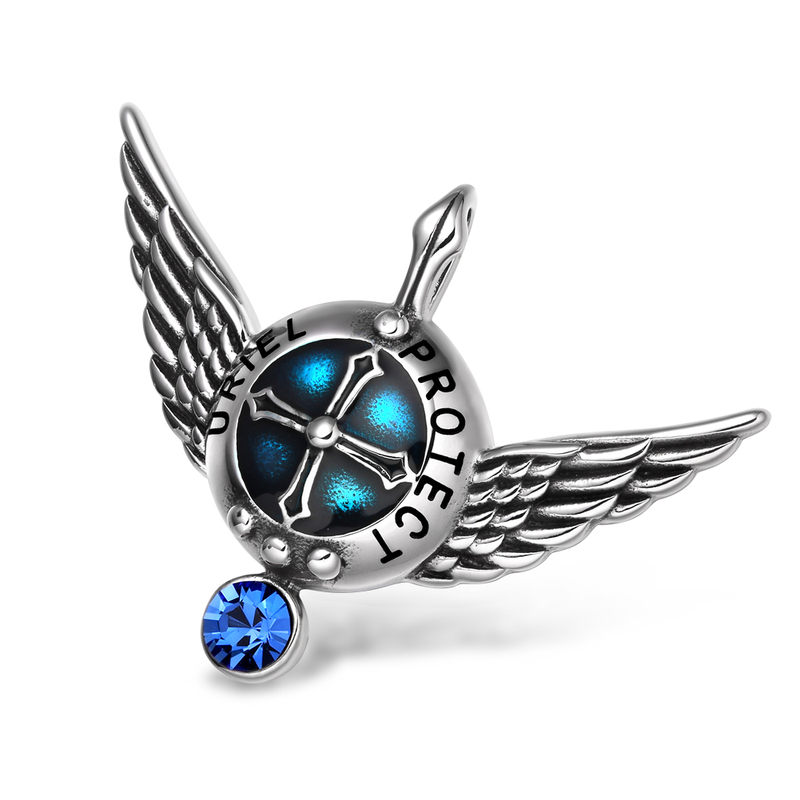 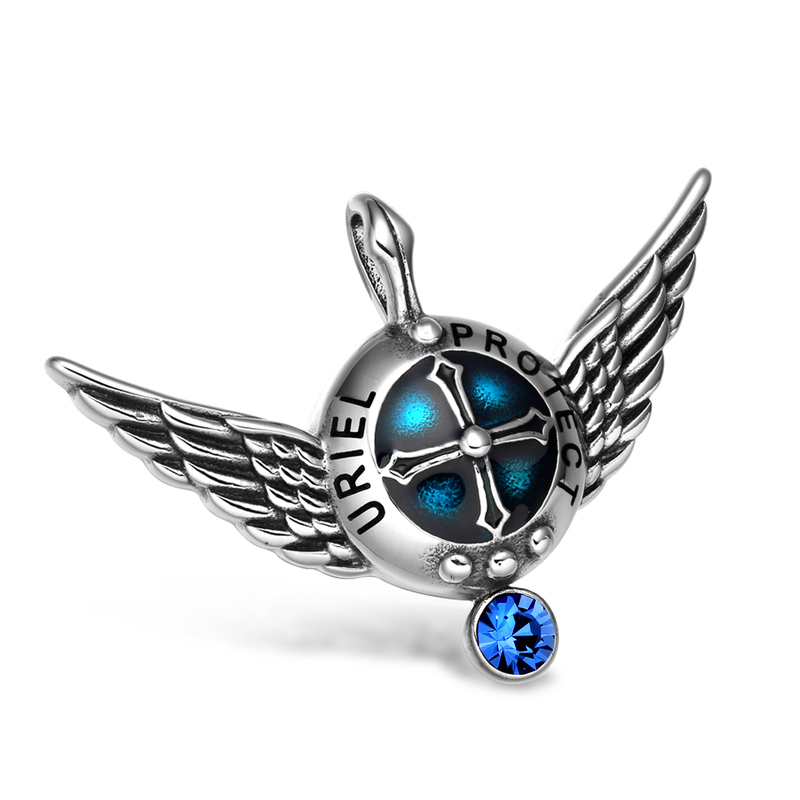 Absolutely Unique and Special Archangel Uriel Protection Shield Amulet with Magic Powers Angel Wings on each side holding Beautiful Royal Blue Cabochon Austrian Crystal. 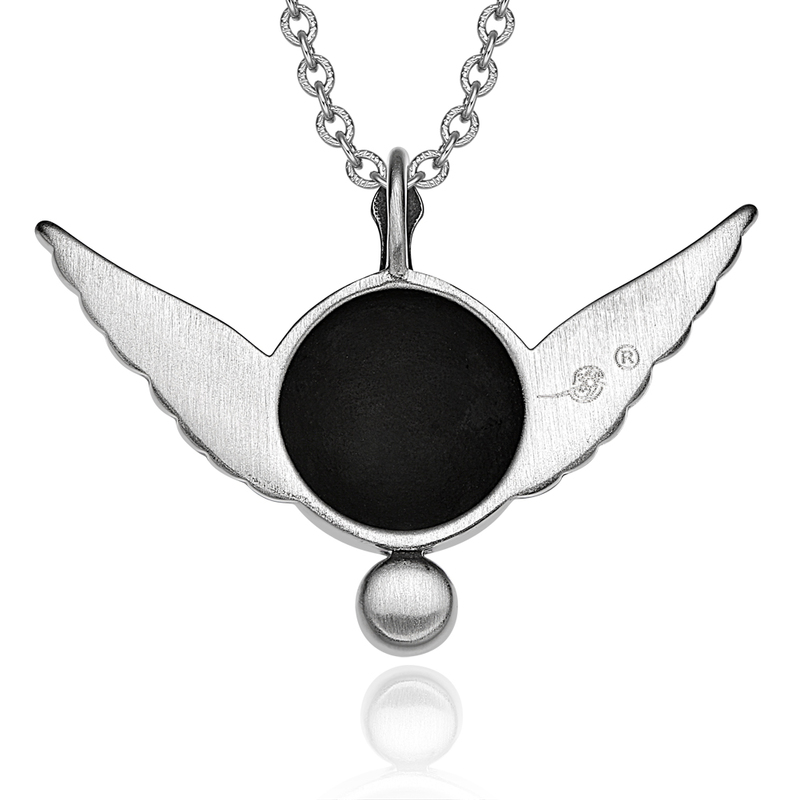 Archangel Name and word Protect are Engraved over the Shield on each side with Antiqued Black Color Ink. 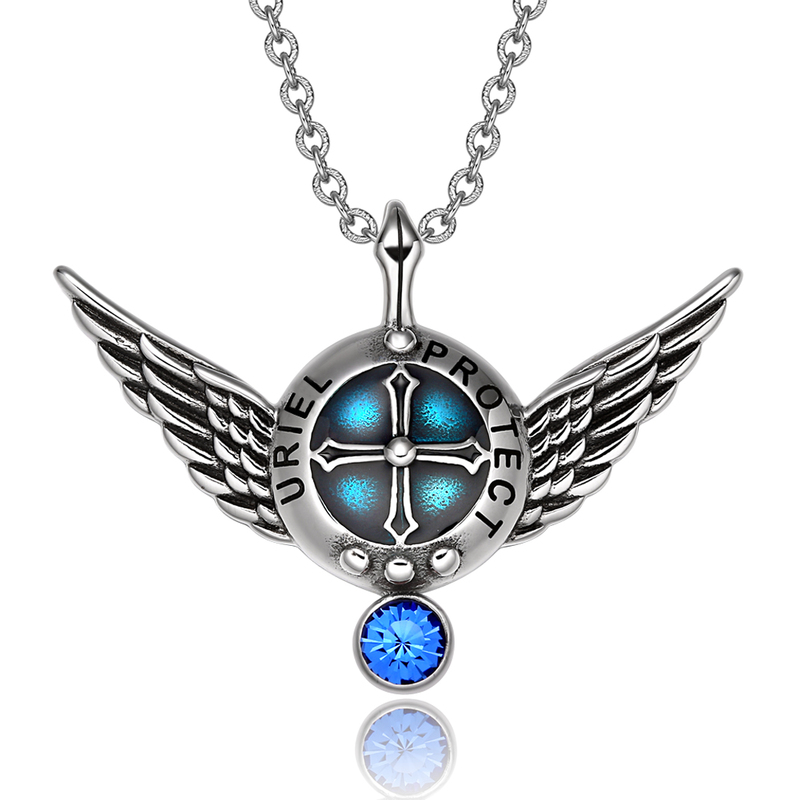 Shield is Coated with Absolutely Amazing and Beautiful Dark Royal Blue coating and looks Very Unique and Eye Catching.